China has already become the world’s second largest economy. 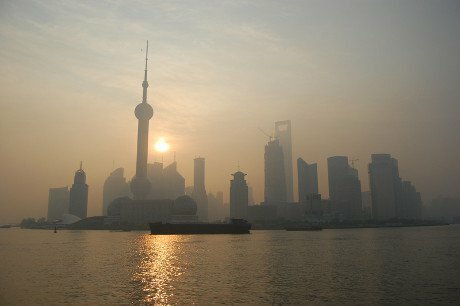 Cities like Beijing, Shanghai and Shenzhen have lofty skyscrapers, impressive highways, and comprehensive public transportation systems. However, while the country has made enormous economic progress over the past 30 years, political reforms have largely stagnated, and the country’s plethora of social problems have grown in scope: severe air and water pollution, institutional discrimination based on household registration status, rampant corruption, and a staggering wealth gap, to name just a few. Shanghai. Caroline Thomas/Demotix. All rights reserved. A new breed of independent grassroots, solutions-oriented, civil society organizations (CSOs) has recently popped up to constructively address these social issues while also deepening the rule of law and respect for human rights. Due to China’s complex political situation, domestic funding for these organizations is largely unavailable. Western governments and funding agencies have a historic opportunity to support these change agents. But at this crucial juncture, many funding institutions are abandoning China or downscaling their operations, partly because they no longer perceive China to be a “developing” country where their aid is needed. Western governments and funding agencies should recognize that their support still has great value in promoting the rule of law and human rights, and that it has the potential to have a positive impact on China’s direction for decades to come. There is relatively little money for civil society in China, especially independent grassroots CSOs. Although the concept of donating to civil society has started to spread, especially after the dramatic 2008 earthquake in Sichuan, China has yet to develop a philanthropic culture of giving. A Chinese Academy of Social Sciences 2009 Charity Blue Paper noted that donations to charities made up only 0.01% of China’s GDP, compared with 2.2% in the United States. In other words, China is starting from a low philanthropic base. Similarly, donations from individuals constitute a relatively low percentage. One expert noted that while 80% of donations in the United States comes from individuals, in China the situation is reversed, with roughly 80% of donations coming from corporations. Social attitudes about how to give back to society and the tax system are two main barriers toward greater donations from wealthy individuals. A Hurun survey noted that many wealthy Chinese individuals feel that simply paying taxes is the best way to give back. Second, charitable organizations with close ties to the government still enjoy most of the support. China has a proliferation of GONGOs (government-organized, non-government organizations) such as the Chinese Red Cross, and these quasi-state organizations enjoy a privileged status in that they receive funding from corporations and businesses that are encouraged to donate by the government. They serve to promote the state’s interests and policies, while also connecting the Communist Party and government to various constituencies. Donations become more like a 'tax'. Although some GONGOs do good work in providing services to targeted communities, these organizations have suffered a series of crises, most notably the Guo Meimei scandal, in which a woman claiming to work at the Red Cross uploaded a series of photos that flaunted her wealth and luxury goods. Public trust in GONGOs sank considerably, and individual donations to charities have decreased for two years in a row. Large GONGOs have little in common with grassroots solutions-oriented CSOs. As de facto extensions of the government, many staff members have the mentality of civil servants, whereas the staff members of many grassroots NGOs come directly from the communities they serve. Similarly, most GONGOs do not have a mandate to challenge government laws and policies, whereas grassroots NGOs are increasingly more adept in constructive advocacy. Nonetheless, GONGOs still take up most of the available resources. For example, one estimate shows that less than 1% of the 12 billion yuan donated to foundations per year is used to support grassroots organizations. This is because foundations, companies, and wealthy individuals have a strong incentive to donate to government-approved organizations and projects, since they are either required to do so by administrative fiat or are compelled to curry favor with the government. Donating to organizations that can be perceived by some to be “sensitive” carries substantial risk, as a person’s business interests could be adversely affected. In the most extreme cases, individuals have been criminally detained for supporting causes that the government has not sanctioned, such as in the case of arrested venture capitalist Wang Gongquan. While the details of this case are still unclear, Wang’s fate may discourage other wealthy individuals from donating to grassroots civil society. The government cannot tackle all of the myriad of social problems by itself, and grassroots civil society – a sector completely repressed in the Maoist era – has started to help address some of these problems. Indeed, there are now more than 490,000 registered CSOs in China, and a total of 1 million NGOs operating illegally or as private businesses, according to the Ministry of Civil Affairs. These CSOs’ positions remain somewhat precarious. On the one hand, some parts of government are suspicious of the entire concept of “civil society”. A prominent academic writing in the People’s Daily Overseas edition has promoted a so-called “People’s Society” as opposed to “civil society.” Proponents of the “People’s Society” claim that it is superior due to its advocacy on behalf of all the people under the auspices of the Communist Party, using the “Mass Line” as its governing method, particularly its improvement in the overall living conditions of the people, as opposed to civil society’s advocacy on behalf of the private interests of some citizens. Despite heavy monitoring and bureaucratic regulations, the Chinese government is also trying to make it easier for CSOs to register, and in some cases is even trying to purchase their services. The China Daily reports that by the end of 2013, the Ministry of Civil Affairs will enact new regulations to simplify the registration process for certain categories of CSOs – industrial associations, charities, community services, and organizations dedicated to promoting science and technology. For grassroots CSOs, therefore, support from foreign organizations and foundations is important for the time being. But many foreign governments and foundations are leaving China or downsizing their projects. Part of the problem is that the funding is normally classified as “development” work, and China is increasingly seen as a developed country – or at least able to bankroll its own development. However, if the funds are properly seen as contributing toward grassroots civil society and human rights improvement, then this relatively small amount of money can go a long ways. To be most effective, donors will need to discard the old model that characterizes certain fields of work or organizations as either “safe” or “too sensitive,” and instead focus their resources on independent CSOs that offer systematic solutions to emerging social problems and human rights issues. In the long run, given the likely decrease in foreign support over time, grassroots Chinese CSOs will need to diversify their funding sources, and seek greater domestic funding. This could include working with GONGOs or raising money through social media campaigns, which is the primary model of some CSOs such as Love Save Pneumoconiosis, whose mission is to help workers with fatal black lung disease. Undoubtedly, whether attracting funding from foreign organizations, domestic foundations, or Chinese citizens on the social media, Chinese CSOs will need to improve their financial reporting capacity and increase organizational transparency. Some grassroots NGOs that engage in human rights work already have employed many tactics to decrease their level of sensitivity by framing their project work in non-political ways, by finding common ground with the government, and by appealing to official rhetoric that supports their goals. All of these actions are necessary for survival in China’s complex socio-political situation. But, as a keen observer of Chinese civil society, Xu Yongguang, suggests, the most significant factor in attracting domestic funding will likely be the ability of CSOs to provide solutions for difficult social problems, and proving to the government that their organizations have added value. Chinese society is rapidly changing, and foreign governments and foundations have a great opportunity to support this change. In the end, a peaceful and stable Chinese society that abides by international human rights standards will be good not only for China but indeed the whole world.